winners will be published on tinywords the week of april 28 - may 2, starting with fifth place on friday and working up to first place on friday. stay tuned! tinywords invites all haiku poets to submit haiku to our first ever haiku contest, to be held during April 2003 (National Poetry Month in the United States). Winners will have their haiku published on tinywords during the week of April 28 - May 2, and will receive prizes as described below. Submit only original, unpublished haiku: haiku that you have written, for which you retain the copyright, and which have not been published in print or online journals. Haiku that have appeared on Internet discussion lists or Web discussion boards are OK. No more than three haiku per person. Winning haiku will be published on tinywords.com, under our usual copyright policy. What this means: Authors retain their own copyrights, but tinywords will have a limited, nonexclusive right to publish and to reprint the winning haiku. tinywords will have no rights in contest entries that are not awarded prizes -- for non-winning entries, all rights will revert to the authors. Haiku will be judged anonymously by our panel of judges. The judges will see the haiku identified only by number, without any identifying information attached. The decision of the judges will be final. Here are some general guidelines about haiku and the tinywords philosophy. How to enter: Email your haiku as plain text (no attached files, please) to contest2003@tinywords.com. You may submit up to three haiku. Include your full name, email address, and mailing address (so we know where to send your prize if you win). Please include a short bio describing yourself (100-150 words tops), which will accompany your haiku if you win. Your name and contact information will be used only for the purposes of awarding prizes and announcing winners. This information will be discarded upon completion of the contest. Deadline: Entries must be received by 11:59pm Pacific time on Friday, April 18, 2003. 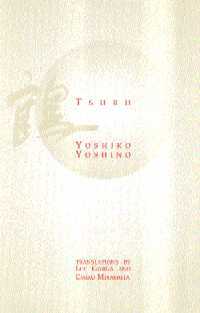 First Prize - A copy of Yoshiko Yoshino's book Tsuru from Deep North Press: "A major new collection from the doyenne of haiku in Matsuyama," in a deluxe, 3-color, hardcover edition, with haiku given in kanji, romaji, and English. and a one-year subscription to bottle rockets. 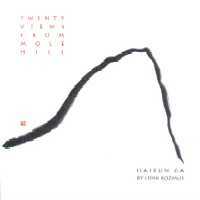 Second Prize - A copy of Twenty Views from Mole Hill by Lidia Rozmus, from Deep North Press. Haibun illustrated with sumi-e, on twenty-eight 6" x 6" cards in an origami-like slipcase. Plus a one-year subscription to bottle rockets. 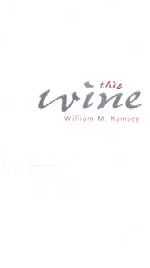 Third Prize - A copy of This Wine by William M. Ramsey, from Deep North Press: "William Ramsey's unique voice commands respect," writes Peggy Willis Lyles. Plus a copy of Dennis Dutton's 90 Frogs, published by bottle rockets press: 90 haiku with frogs in them, written for the author's mother on her 90th birthday. "Most of the poems were written in a rain of frogs while I was watching Zefferelli's 'Romeo and Juliet' on video one night ... and while lingering over coffee the next morning." Fourth Prize - A copy of Jeffrey Winke's What's Not There: Selected Haiku from Deep North Press: "While exquisitely detailing what is going on in the world around us, Jeff's haiku always make the reader aware also of the beauty of what's not there." (from the Foreword by Charles Trumbull). Plus a copy of Dennis Dutton's 90 Frogs, published by bottle rockets. tinywords is proud to present this distinguished panel of judges, who will read all haiku submitted to the tinywords contest and will choose five winners from among the many entries. Mark Brooks's haiku and renku have been published around the world and translated into several languages. He is the publisher and editor of haijinx, an international journal that examines humor in haikai. He is also editor of the Haiku Society of America newsletter and a member of the HSA's executive board. Charles Rossiter is an NEA Fellowship recipient for poetry and host of the audio poetry website, poetrypoetry.com. He is a past Associate Editor of Modern Haiku and a frequent contributor of poems to major haiku publications. Charles Trumbull is an editor for Encyclopaedia Britannica and lives in Evanston, Illinois. He is currently associate editor of Modern Haiku and proprietor of Deep North Press, a publisher of haiku books, two of which won the HSA Merit Book Award in 2002. Jeffrey Winke has been writing haiku since the early 1970's. His poetry has appeared in numerous literary, news and business publications, and he is a former assistant editor of Modern Haiku. 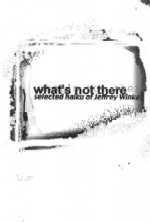 His most recent book is What's Not There: Selected Haiku of Jeffrey Winke (Evanston, Ill: Deep North Press, 2001). tinywords gratefully acknowledges the generous support of the following sponsors, who contributed prizes to this contest. Deep North Press is a publisher of haiku books, two of which won the Merit Book Award from the Haiku Society of America in 2002. No Web page yet; contact publisher Charles Trumbull to request a catalog. 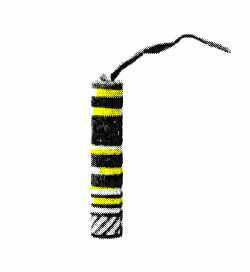 bottle rockets is a magazine dedicated to haiku, senryu and related poetry. Format: 5 1/2" x 8". 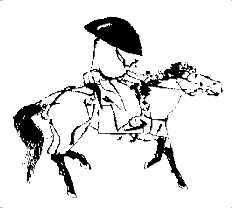 Published 2x yearly starting in November 1999. bottle rockets press also publishes books such as 90 frogs. Here's their order form. Founded in 2001 as an online journal focusing on the role of humor in haiku, haijinx moves to print with the Spring 2003 issue. Each print issue of haijinx contains roughly 192 pages of haiku, haibun, haiga, renku, articles, and features. The format is perfectbound, 8.5" x 5.5", with color cover and at least four pages of color artwork inside. Subscribe here. Copyright (c) 2000-2003 by Tweney Media. 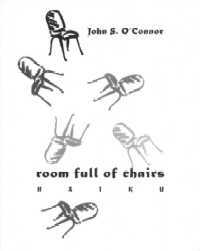 Except as noted, all haiku are copyright (c) their respective authors.